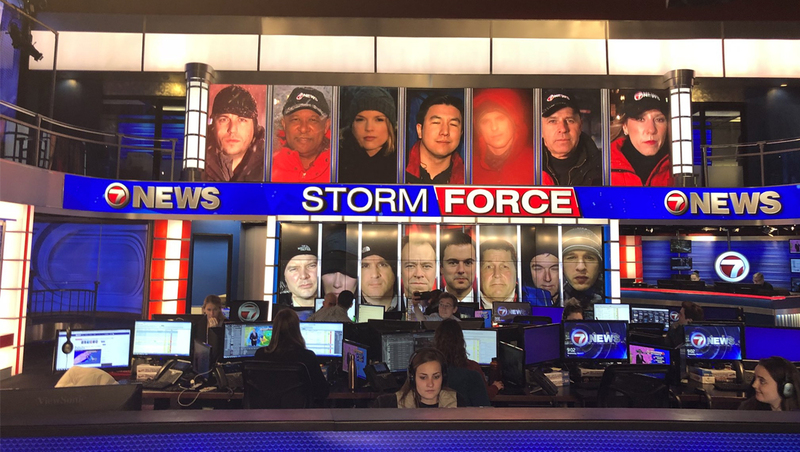 WHDH, an independent station serving the Boston market, is in full team coverage mode for the Nor’easter hitting the region — and used its “Newsplex” video walls to showcase an epic “15 box” of its reporters and meteorologists. 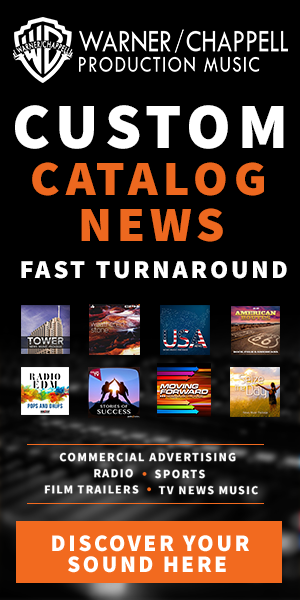 The images were split among the video wall that sits on the newsroom floor and serves as the primary newsroom background as well as the larger, seamless one on the mezzanine level. The LED video ribbon between the two levels boldly displayed the “Storm Force” branding and “7 News” logo. WHDH, along with its sister station WSVN in Miami, both have similar Newsplex sets, with Boston’s being updated in 2016, following the Florida version’s upgrade in 2015. Winter storms, which typically draw high viewership and are ideal for showcasing team coverage, seem to bring out box-style layouts that go above the traditional two or three count. During this year’s storm, WFSB in Connecticut created a “25 box” — though not all of the images were serious.